At Mornington Kindergarten teachers provide a programme that is caring, happy, safe, secure, encouraging, stimulating, equitable and fun. •We encourage and feed children’s curiosity and awareness as they investigate. •We give children ample time, resources and opportunity to feed their curiosity so they develop a variety of skills and strategies as they explore. •We support and encourage children as they investigate to find solutions to activities they have chosen to explore. •We support children as they establish relationships with others and develop ways to be responsive to each other. 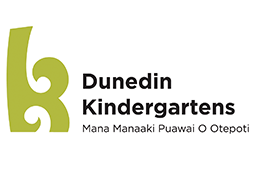 In 1961 Mornington Kindergarten was the 14th kindergarten to open in Dunedin, on its current site in English Avenue. It was the 11th community to take advantage of the government subsidy introduced in 1948 to assist provision of kindergarten in their own premises.